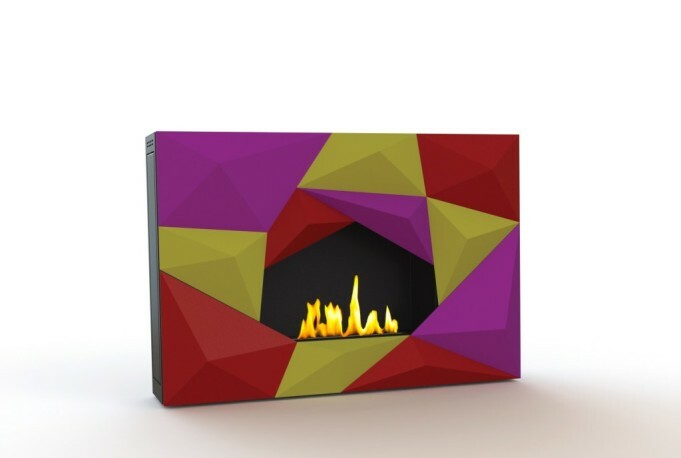 Those, who like the combination of functionality with unique and luxurious design, will certainly appreciate Crystal bio fireplace – project by GlammFire. This fireplace will perfectly match to eco trend, but will be also great solution for people who like extraordinary interior decorations. The Portuguese brand GlammFire has always stood on the combination of modern and unique model manufacture with practical and ecological solutions. All bio fireplaces are powered with special ecological fuel – bioethanol, derived from biomass. The newest offer by luxurious manufacturer has the same. 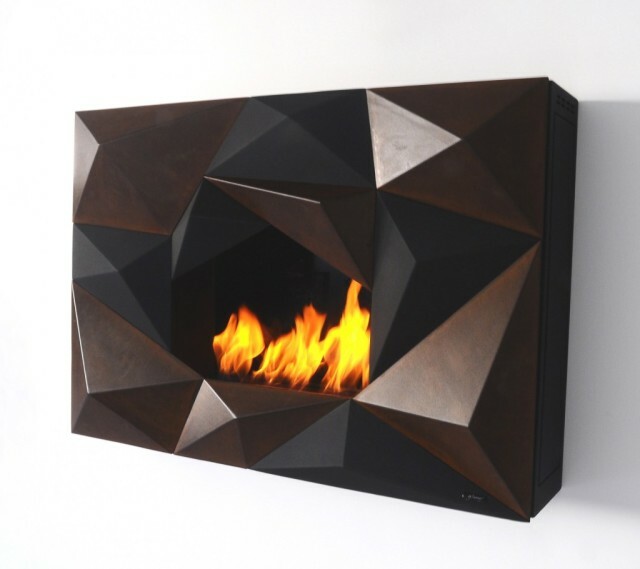 Crystal bio fireplace, more than just fireplace, distinguishes by its avant-garde shape. The designers have chosen unique, broken, geometrical form. The device looks like a crystal. This elegant, noble stone adds charm to every room. It is perfect offer for simple and raw interiors. In this case bio fireplace will become central point, attracting attention – both householder and guests. But not only. The bio fireplace will be also perfect fulfilment to crazier interior, full of splendour. Its form – with a little bit of fantasy and courage – will add flair to almost every room. Furthermore, due to big dimensions (height 750 mm, width 1100 mm, depth 293 mm), this bio fireplace targets bigger spaces. GlammFire’s designers have taken care of vast range of colours. 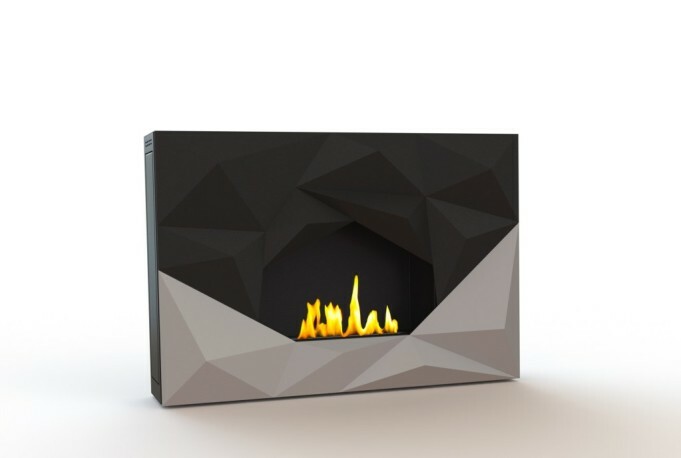 Crystal bio fireplace is available in six interesting colours: powder pink, dark violet, neutral grey, yellow, expressive red and classic black. Colours can be freely combined. Due to our preferences, we can create colourful mosaic or choose just one colour. Bio fireplace burns on average 3 litres of eco-bioethanol and works about 6 hours. The newest proposition of luxurious brand GlammFire will convince everyone, who appreciates extraordinary interior solutions and care about environment.